OneUSG Connect provides several great new features and abilities, such as mobile access and single sign-on. With those new additions, there are also some new technology requirements and preparation needed for successful use. 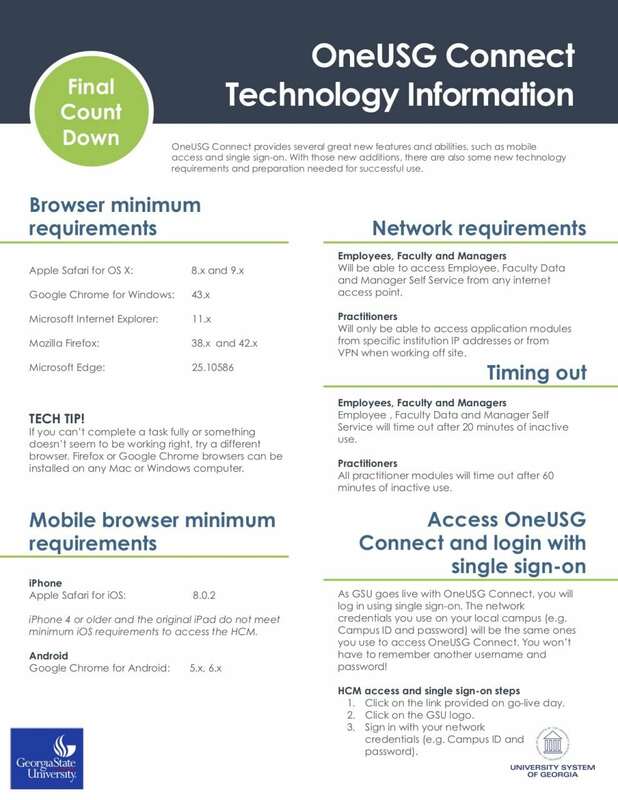 As cohorts, Go Live with OneUSG Connect, you will log in using single sign-on. The credentials you use on your local campus (email, Internet, etc.) will be the same ones you use to access OneUSG Connect. You won’t have to remember another username and password!